Sarasota has plenty of interesting neighborhoods, each with their own flair and beauty. You can visit the city´s amazing beaches in places like Lido Key and St. Armand’s, or maybe catch up on a little shopping in Downtown. The city has recently gained more popularity, and people from all over the country seem to want a little piece of this West Florida haven. Whether you´re planning on moving to the city or just visiting, be sure to check out our ultimate guide to Sarasota neighborhoods. Like most other downtowns, Downtown Sarasota is the cultural center of the city. It’s the place to go if you want an evening full of art and history in neighborhoods such as Laurel Park in the heart of Downtown. People that fancy going to the opera should definitely stop by the Sarasota Opera, which features around five world-class operas every year. Others might appreciate taking a stroll through the historic part of the city at the Burns Square Historic District. Art Center Sarasota is also a very popular destination as well that the Marie Selby Botanical Gardens and the Florida Studio Theatre. Whatever your interests are, there’s always an incredible number of things to do in Downtown Sarasota. Lido Key is all about its pristine beaches and natural ecosystems. It’s an ideal place for a relaxing day enjoying the beautiful waters of Sarasota as well as taking eco-tours around the area. Kayaking and paddleboarding are common activities in Lido Key as the barrier island features different habitats such as mangrove tunnels and a variety of local marine animals like manatees, rays, and dolphins. A few of the best places to stay in Lido Key are the Lido Beach Resort, Sandcastle Resort at Lido Beach, Gulf Beach Motel Resort - Lido Key, and the Holiday Inn Sarasota-Lido Beach-@The Beach. Located right next to Lido Key, St. Armands is a small island that hosts numerous stores and restaurants. It’s a great place to go shopping if you’re in the neighborhood or if you happen to be coming back from the beach. St. Armand’s is also the go-to spot when it comes to delicious ice cream and frozen yogurt thanks to stores such as the Big Olaf Creamery - St. Armands Circle, Kilwin's Chocolates & Ice Cream of Venice, and the Sarasota Fudge Factory. These shops are located near the island’s famous park commonly known as The Circle. Previously known as Overtown, the Rosemary District is a renovated part of the city that has recently become very popular among young, artsy crowds. It received its name thanks to the historic Rosemary Cemetery and includes popular destinations like the Ringling Museum of Art and the famous Derek's on Central Avenue. Siesta Key is another premier Sarasota neighborhood filled with beautiful beaches. Tourists and locals are drawn to Siesta Key due to the number of aquatic activities available on the island including fishing, paddleboarding, snorkeling, scuba diving, and kayaking. 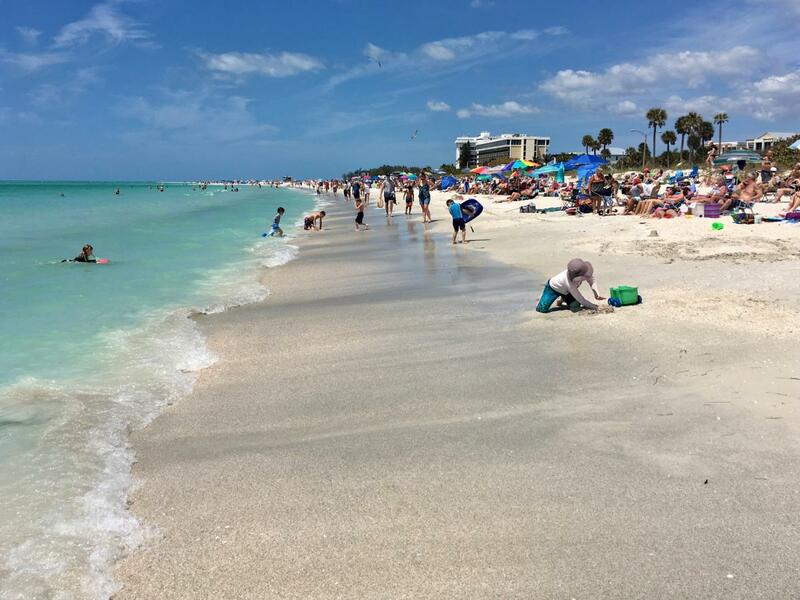 You can also visit the key’s white, soft beaches such as Siesta Beach, Crescent Beach, and Turtle Beach. After getting to know a few of the most popular Sarasota neighborhoods, it’s not surprising that many newcomers are now calling this amazing city their home. The combination of having a great downtown area as well as secluded beaches and ecosystems have paved the way for Sarasota’s increasing popularity. Find more in Sarasota real estate and things to do in Sarasota by registering on 941area, your free guide to everything in the Sarasota and Bradenton area.